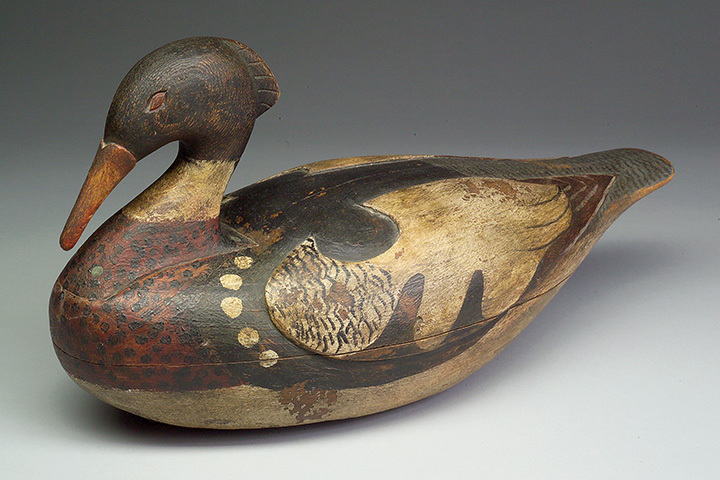 Many of Karl Schmidt’s carved ducks appear as though they are alive and ready to fly away. What makes Karl’s work even more amazing is he suffers from quadriplegia as a result of a swimming pool accident. After the accident in 1980, doctors gave the 20-year-old absolutely no hope of recovery. Despite the pessimistic prognosis, Karl, of Farmville, Va., eventually gained some use of his upper body. He still has almost no use of his dominant right hand, but Karl has learned to capitalize on the limited function in his left hand. 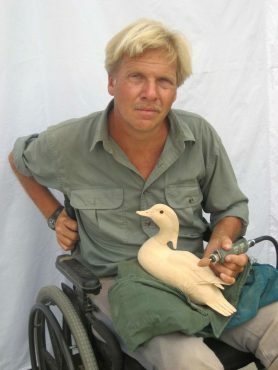 Undeterred by the challenges he faces on a daily basis, Karl creates amazingly realistic decoys. His desire to persevere is an inspiration to everyone who knows him. Striving for higher-quality work, Karl started using Foredom tools to make decoys out of basswood. The detailed decoys begin with a blank that Karl’s dad rough cuts on a band saw. Because of his handicap, it takes Karl more time and effort to achieve the results he demands of himself. 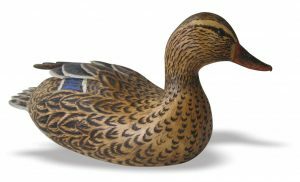 It takes him about 100 hours to complete a typical duck. M ost of the initial carving is done with a roughing bur in a Foredom rotary power carver. Then Karl smooths and shapes the carving with a small sanding disk and adds details with a woodburner. Karl first started carving when he was eight years old. 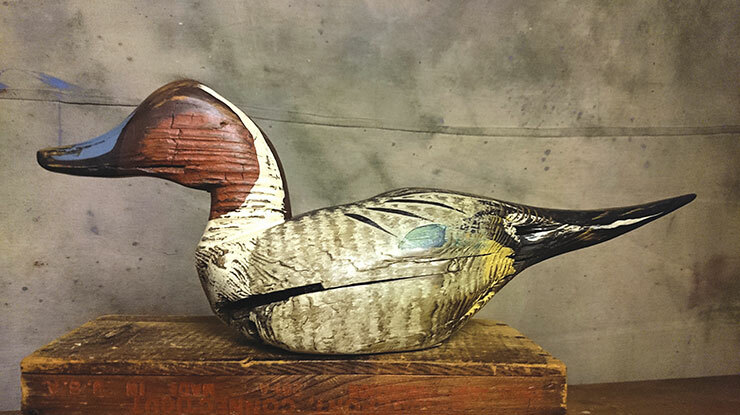 His interest in duck carving was born out of his love of duck hunting. 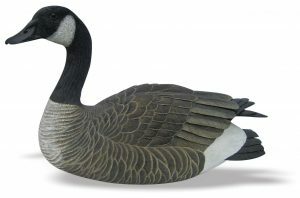 Other than cutting out the carving blank, Karl completes every detail on his amazingly lifelike decoys. When he was 10, Karl and his dad visited Steve and Lem Ward’s carving shop. Karl recalls watching the Ward brothers work in their dusty cluttered shop. Steve gave Karl four duck heads from the reject pile in the corner of their shop. Although he didn’t realize it at the time, that visit had an impact on Karl, who still proudly displays those duck heads in his home. Karl spends much of the winter hunting, although it does require considerable assistance from his dad and friends. In the warmer months, when Karl can work outside, he turns to decoy carving. Completing a carving gives Karl a sense of independence. Purchase Woodcarving Illustrated Spring 2009 (Issue 46) to read more great articles.